Contact for details on policies. Take the N1 North Highway from Pretoria to Polokwane (Pietersburg). Keep on the N1 through the Carousel and Kranskop Tollgates. Travel a further 32 km on the N1. Take the Mookgopong (Naboomspruit) R101A off ramp/exit (Route 289). Drive 8 km to Mookgopong (Naboomspruit). Drive straight through the town of Mookgopong (Naboomspruit) on the R101A (29 km) until you reach the Doorndraai/Sterkrivier turnoff (Entabeni sign). Turn left and continue for 22 km until you reach the Haakdoring turnoff. Turn left and continue for a further 10 km on a gravel road until you reach the large ENTABENI PRIVATE GAME RESERVE sign on your right-hand side and the security entrance gate. It is recommended that guests follow these directions instead of relying on a GPS, as game fencing restricts access to certain roads in rural areas. Discover the exclusive Hanglip Mountain Lodge with its 10 luxury, en-suite thatched rooms on the lower escarpment of the malaria-free Entabeni Safari Conservancy, surrounded by wetlands and plains. 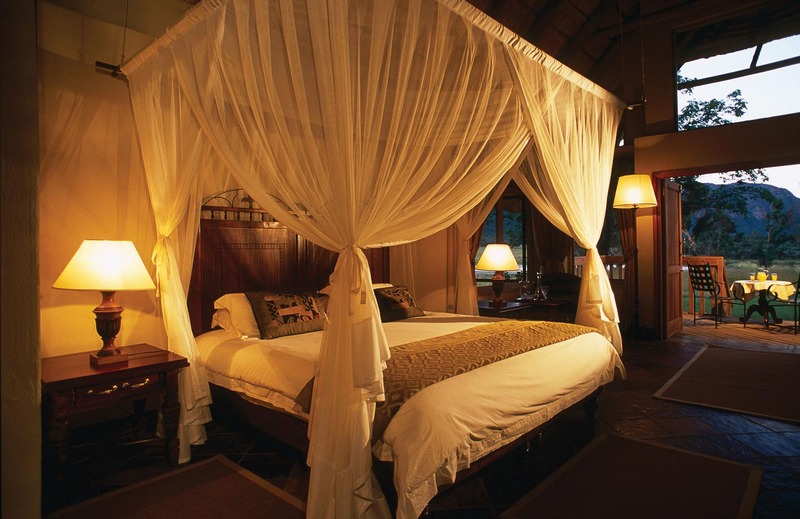 This secluded lodge is refreshingly alluring with its unique blend of luxury and true African wilderness. All luxury suites, furnished in African Baroque style, have a fireplace and private sun decks with breathtaking views across the wetlands and vast open plains. There are a total of 10 thatched-roof cottage suites, including one Honeymoon Suite, two Standard Rooms and one Wheelchair Accessible Room.